As I mentioned in Weekend in Brewing, I used to just throw the hops in the kettle. During that brew, I used a paint strainer bag to keep the hops contained. This worked beautifully. After seeing multiple forum posts and write ups about hop spiders, I decided to build my version of one. I didn’t like the usual hop spider design, which used three or four long bolts in an attempt to center the bag in the kettle. I felt this restricted stirring more than I wanted. So, I decided to make mine a little different. 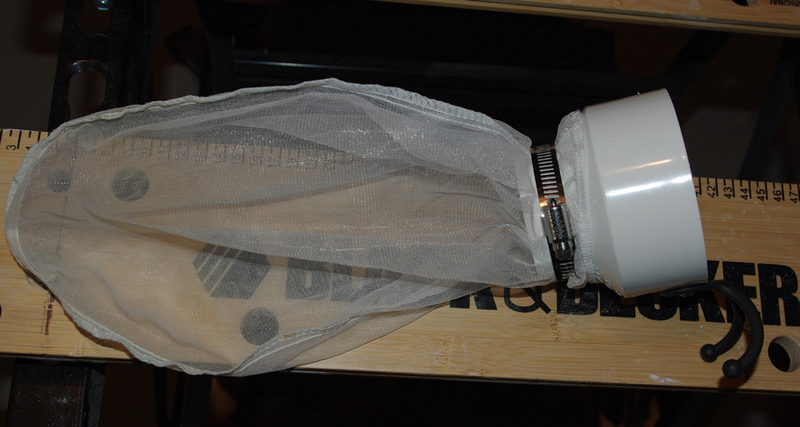 I used a three-inch to two-inch pvc coupler, hose clamp, and the paint strainer bag. The difference is I used a coat hook and will suspend mine from the side of the kettle. 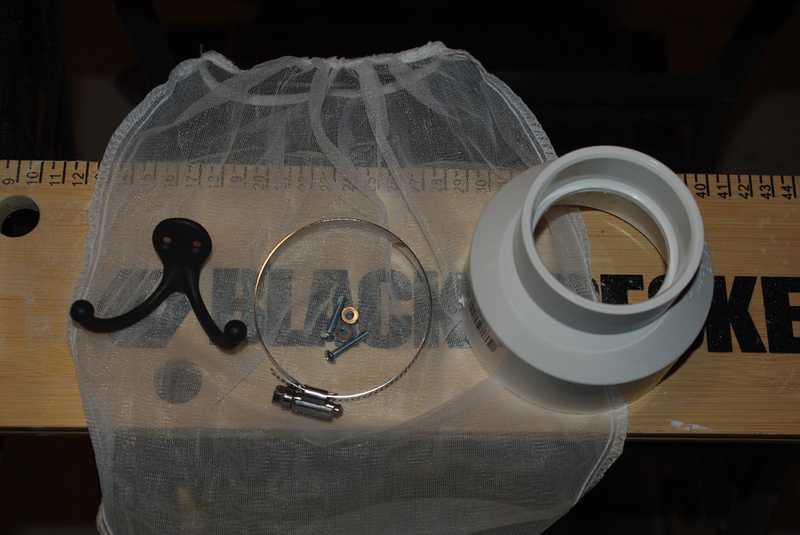 The coupler will keep the hop bag open allowing hop additions to be as easy as dropping them in a can. The hooks will keep the bag suspended, allow me to stir the wort like I prefer, and also allow the bag to hang further into the wort than it did when I clipped it on the handle.